The Los Angeles County coroner has confirmed that Chester Bennington died by hanging. The LINKIN PARK frontman's body was discovered Thursday morning by an employee at the musician's Palos Verdes Estates home. 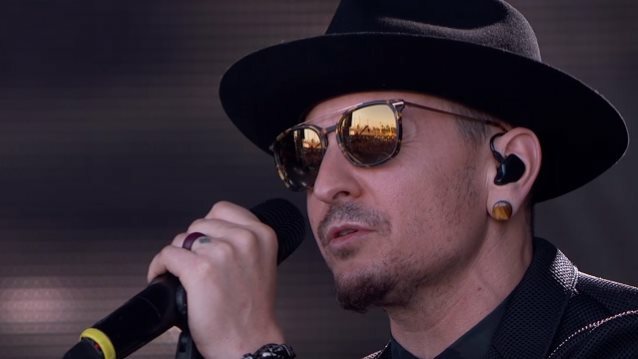 LINKIN PARK was set to kick off its "One More Light" tour in late July, but the surviving members of the group have not yet announced whether they will pull the plug on the trek in the wake of the tragedy.